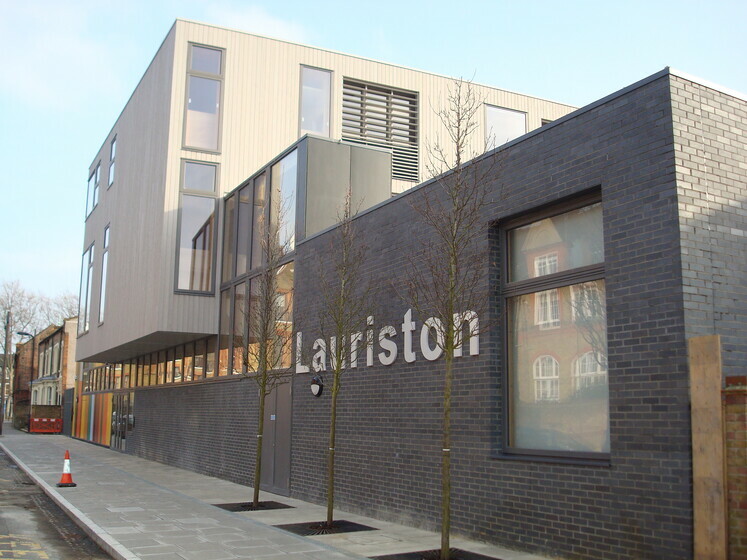 Lauriston Primary School is a new primary school and nursery in the heart of Hackney comprising of 12 classrooms, assembly hall, break-out teaching spaces, music room and library. 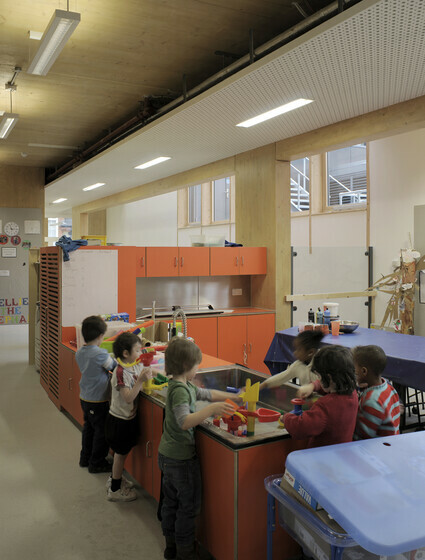 All classrooms are naturally ventilated via acoustic louvres at the façade and discreet chimneys to the rear. Good air quality is maintained throughout the year through CO2 sensing. Underfloor heating ensures the environment is comfortable during cooler months. 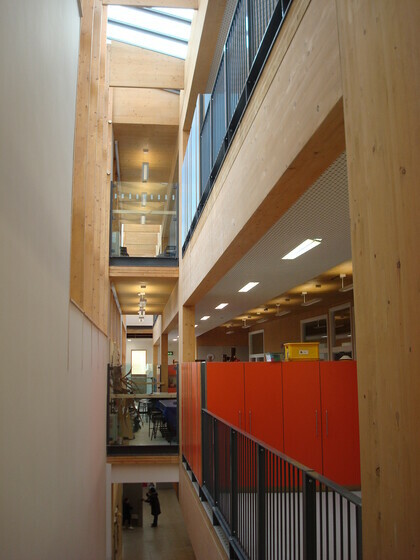 The design creates a raised treetop bridge for classrooms looking west into the canopies of the existing trees. 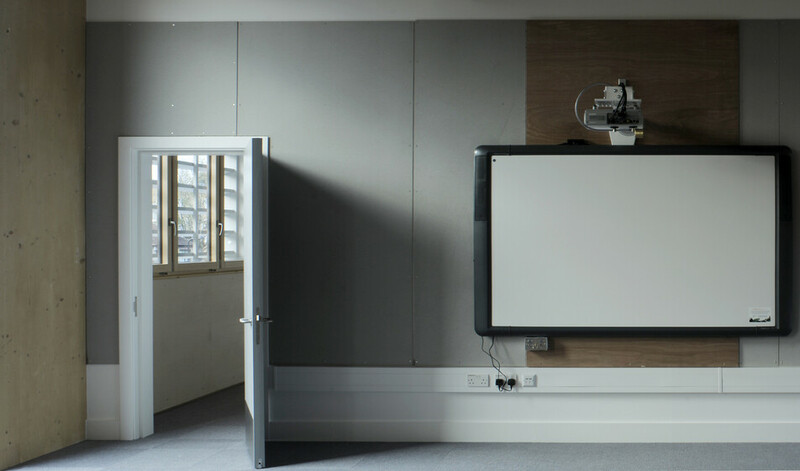 A structural prefabricated timber panel system has been selected which provides an exposed timber finish to walls and ceilings. 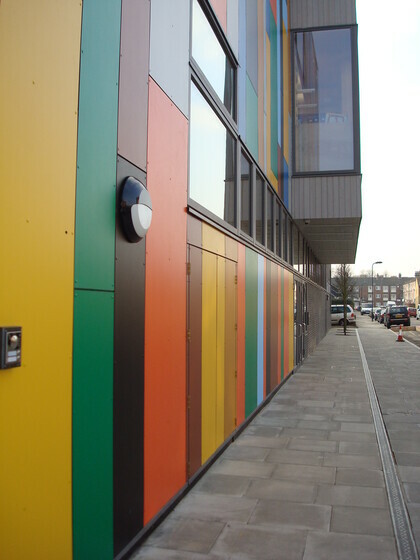 The façade has been optimised to ensure heat losses are minimised while the daylighting levels are conducive to an excellent learning environment. A closed loop ground source heat pump (GSHP) system is designed to provide energy equivalent to 20% of total carbon emissions from the building. Water conservation measures, the use of recyclable and non-toxic locally sourced materials and a green roof will ensure that the overall environmental impact of this new school is kept to a minimum. The building is one that teachers, parents and, most importantly, the pupils can be proud of.